At The Natural Beauty & Health Blog I to not only try to spread awareness about natural and non-toxic beauty and health products but also animal cruelty products. When you buy natural and organic food, beauty and health products, you're also helping animals! This is the main reason I made the switch years ago and never looked back. Here is something disturbing and upsetting news that I recently discovered about Palm oil that I wanted to share with all of you. Palm oil is a type of vegetable oil. It is derived from the palm fruit, grown on the African oil palm tree. Today, almost all palm oil is produced in, and exported from, Indonesia and Malaysia. It is versatile, cheap to produce, and has a long shelf life. Due to these traits, manufacturers of consumer goods have seized the opportunity to turn palm oil into a very lucrative business. 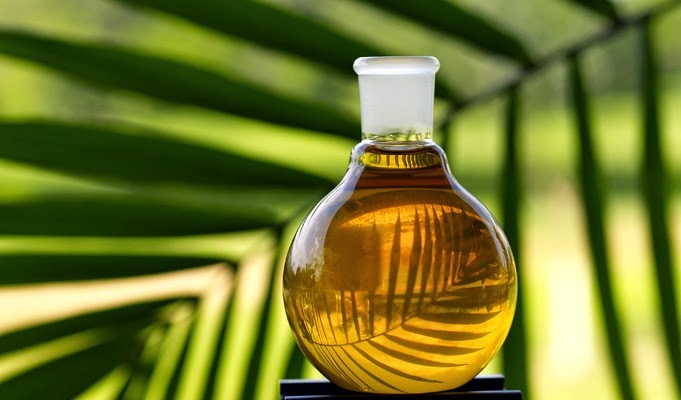 Palm oil is now a common ingredient in many foods, household cleaning items, and cosmetics. In order to make room for more palm oil plantations, thousands of kilometres of pristine rain forest are slashed and burned every year. As a result of this destruction, thousands of orangutans and other wildlife are killed in the process. In many countries, there are no mandatory laws for the labelling of palm oil. It can easily slip under the radar as ‘vegetable oil’. Although there have been many attempts by various environmentalist groups to try and change these laws, pressure from the Malaysian palm oil industry has managed to keep most governments quiet. I hate sharing pictures like this on the blog but this is what we're doing to animals by demanding these type of products in our personal beauty and health products. If we buy it, we're voting for it. Sometimes a picture is all you need to spread awareness and make a impactful change for good. Animals are innocent and need our help! I personally had no idea how much an ingredient like palm oil has impacted our wildlife. Please share this article with others so we can spread the word about how palm oil impacts wildlife and the environment. Remember to always check the labels on the back of food and personal care products. Palm oil is used in more products then you realize. Please share this article to spread awareness.